How about travelling the whole world in one day? Or make that half a day? This weekend's The New York Times Travel Show makes that possible. No planes to ride, no passports to bring, no luggage to carry - just a pair of good sneakers to go around the mammoth floor of Jacob Javits Convention Center. Exhibitors are arranged according to geographic area - Central & South America, Caribbean, Asia, Europe - and specialty like cruises, spas, vacation homes and adventure travel. Like all trade shows, booths have free goody bags for attendees which are filled with pens, key chains, baggage tags, brochures and more brochures - it becomes so heavy in the end that it's already a quota for an afternoon's session of weightlifting in the gym! To cap all that walking - or give those weary legs some rest - there are seminars where one can sit and listen to hosts talking about various travel topics. Today alone, there were great presenters: Rick Steves, Arthur & Pauline Frommer, Andrew Zimmern (of Travel Channel's Bizarre Foods: he went to the Philippines and ate balut, remember?) and the two I'm truly very fond of, Ian Wright and Megan McCormick. These are the people I see on television and wished I had their job - you know, getting paid to travel. For the first time in 5 years, the Philippines has finally joined this premier consum er and travel trade powwow. As I entered the Asia section, I immediately went to look for the Philippine booth and despite the small size - I felt happy to see it. I met Ms. Emma Yulo, Director of the Philippine Department of Tourism at the Philippine Consulate General. I told her how proud I was to see the country's participation in this important show. 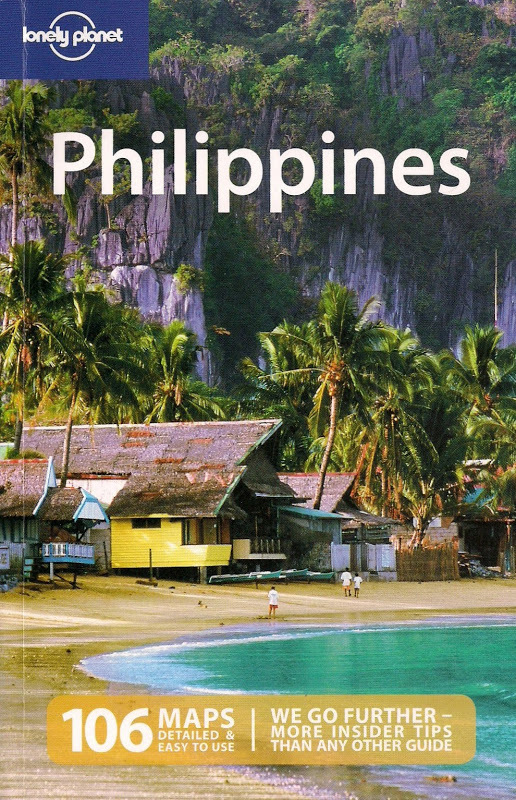 Later in the afternoon, I was all the more happy as I see attendees bringing home souvenir bags from the Philippine booth - with the inviting photo of an idyllic Palawan beach. I truly hope that bag will help ignite their curiosity to see the Philippines!